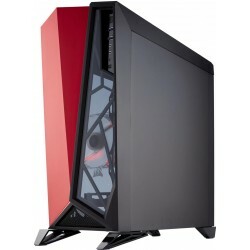 The PC-O8 features a two compartment design,separate the system into two compartments, one is motherboard and graphics card section, another one is 3.5? HDD and power supply unit section. 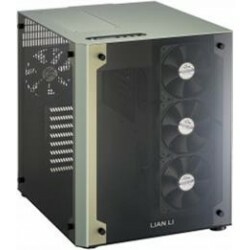 The Lian Li PC-8E supports 1 x 140mm fan in the front and 1 x 120mm fan on top to keep hot air from damaging your hardware and providing a fluid thermal flow. Carbide Series SPEC-03 has an extremely aggressive, game-oriented design and superior air cooling for your high-performance GPUs. The In Win 101 has Versatile cooling and can accommodate powerful hardware. The distinctive front panel is designed to have a clean surface with striking LED bezel. 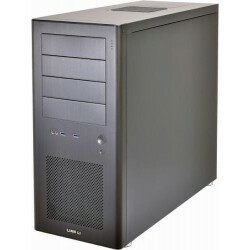 The 101 also mounts with a specialized GPU holder that provides extra support. Put your build on display through beautiful two-panel tempered glass and keep it all running cool and quiet with Direct Airflow technology. 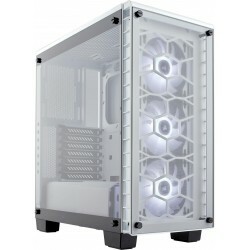 The MasterCase H500P has a light grey tinted tempered glass side panel and plastic top/front covers,making it ideal for showcasing your build with (RGB) lighting.